I went to Newmarket station for two reasons; to assess if the East West Rail Consortium’s plans for Newmarket were feasible and also to see a friend, who trains racehorses in the town, to tell him about the plans. I should say, that I haven’t been to Newmarket for perhaps six years and it struck me that the town was much more crowded with traffic, with a lot of full car-parks. Around the station, there were lots of cars parked. How many were owned by commuters going to Cambridge. So would it be possible to create a double-track railway through Newmarket station? These are pictures that I took of the station. It does appear that there is space for another track on the other side of the current track to the platform. Newmarket station has some positive attributes. It is in the centre of the town. There is enough shelter and storage for cycles. The platform will be long enough for Greater Anglia’s new four-car Class 755 trains. There is a wide, spacious platform. But these are outweighed by these drawbacks. The vehicle access is terrible. There is no Kiss-and-Ride facility. Car parking is in the surrounding streets and as it’s free, the local roads will get choked, especially when Greater Anglia’s larger trains are introduced later this year. The East West Rail Link will introduce a two trains per hour (tph) through the station. Will the platform at Newmarket be long enough for the East West Consortium trains, which will be running between Ipswich and Oxford? Probably not! There is no coffee kiosk, shop or toilets. But above all it is not a destination station., that gives a good impression for visitors and tourists, who could make up a proportion of travellers. But I believe that Newmarket needs a station, that will attract visitors. My pictures, show the previous station building still standing next door to the current station. This could be converted into a first-class station with excellent passenger facilities. There could be a large taxi rank. There could be passenger drop-off and pick-up facilities. There is space for a bus connection to the race-course on race-days. Limited car-parking of a short-term nature. A two-hundred metre long platform could be built to accommodate the longest-possible trains. This Google Map, shows the combined site of the current and previous stations. Both stations are effectively side-by-side, with the current station to the East. 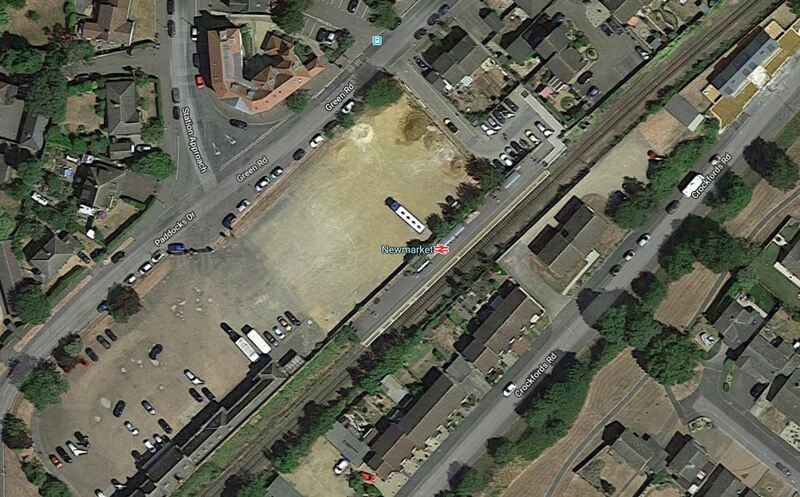 The large area behind the stations is parking for horse-boxes during the numerous sales at Tattersalls. For much of the year, it is virtually empty. I’m pretty sure, that with some management, the area could serve both its current purpose and as a forecourt to a landmark station,, that would enhance the town and the racing industry. I don’t think that a second platform would be needed for the following reasons. Adding the step-free access to the seond platform would cost a seven figure sum. Commuters into Cambridge would be encounraged to use the A14 Parkway station. Probably only on race days, would there be large enough numbers of passengers to need to accommodate two trains in the station at the same time.. However space could be left, if a second platform were to be needed in the future. The current Newmarket station is totally inadequate for the current service of one three-car train per hour in both directions. Greater Anglia’s new Class 755 trains could be a car longer and will certainly attract more passengers to use Newmarket station, as new trains always do! I feel that in the next couple of years, possible additional trains, more passengers and lack of car parking will create problems at Newmarket station. I would recommend the following actions. Work should start as soon as is practical for the A14 Parkway station, proposed by the East West Rail Consortium. This station would have the following Greater Anglia services. These two services would give the following frequencies to these places. 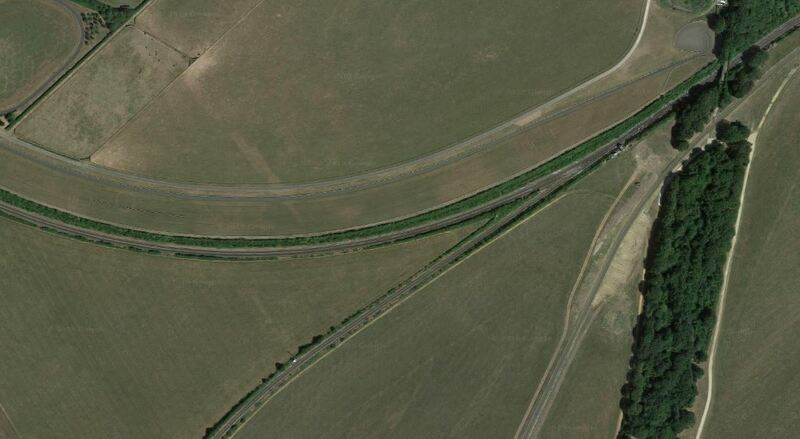 A14 Parkway station sitting at the junction of two of the busiest roads in East Anglia; the A11 and A14, and two important rail routes,would be one of the most important stations in the East. The station could only be named after Ancient Britain’s most famous queen, who by repute once lived in the area. Hopefrully, the A14 Parkway station would ease the problems at Newmarket station and this would enable work to progress on the design of an upgraded Newmarket station, that would serve the town, the racing industry and the towns tourist attractions. Parkway, Newmarket, Cambridge, Cambridge South, Bedford, Bletchley, Milton Keynes, Bicester, Oxford and several smaller intermediate stations. 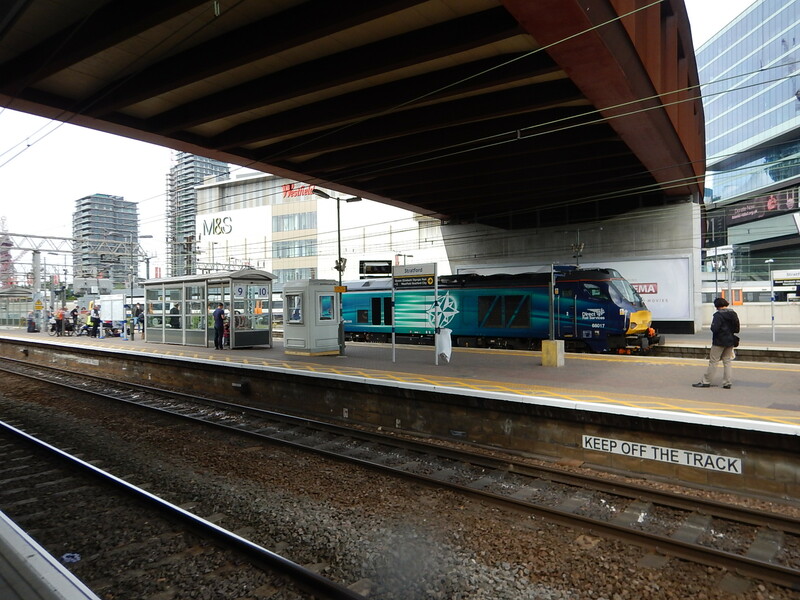 The three Cambridge stations of Cambridge, Cambridge North and Cambridge South will also increasingly be connected to the surrounding stations like A 14 Parkway, Bury St. Edmunds, Cambourne, Ely, Kings Lynn, March, Newmarket and Peterborough. Services will be at a frequency of at least two tph, with some as high as four tph. In addition, there could be new services to Haverhill and Wisbech. Newmarket will get a share of these services and I wouldn’t be surprised to see these frequencies from Newmarket station to the three Cambridge stations. Cambridge is becoming one of the most important cities in Europe and Newmarket can benefit by holding on to big sister’s skirts. If you look at the sizeable towns in Suffolk, the following ones that are rail connected, do not have a direct train service to London. Greater Anglia’s new Class 755 trains, will be running three trains per day, between Liverpool Street and Lowestoft, which will reduce this list to just. 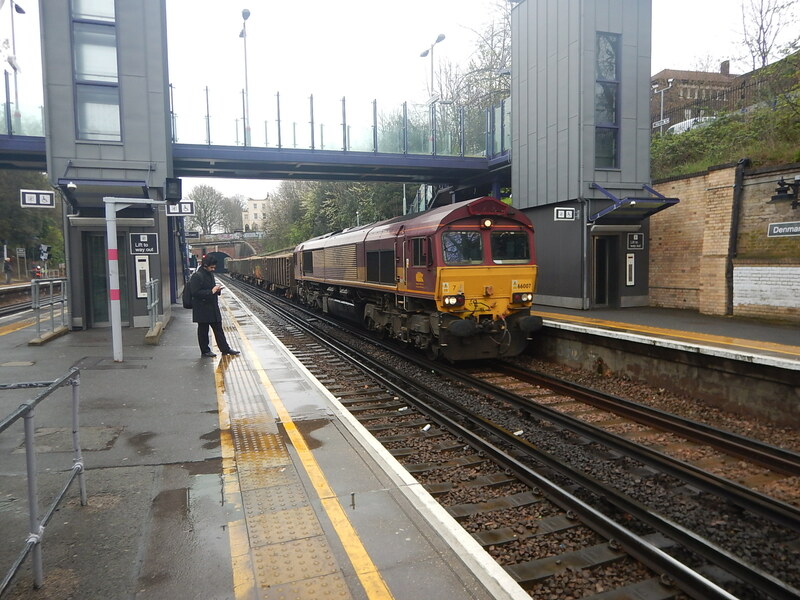 If Felixstowe is discounted as it is on a branch line busy with freight trains and Sudbury because it is on a single track branch line, we are left with just. Add in the proposed A14 Parkway station and is it feasible to run a service between London Liverpool Street and Bury St. Edmunds via Cambridge, Newmarket and A14 Parkway. I calculate that a round trip would be possible in around four hours, thus making three trains per day possible. I suspect, there would be capacity problems on the Southern section of the West Anglia Main Line, but if this were to be four-0tracked as is proposed, this would ease that problem. So a service between West Suffolk and London, is probably one for the future. Newmarket can benefit from East West Rail, but the two parties must agree objectives that don’t cause problems for the other.